Do you simply love long drives? Are you planning on a road trip this weekend? Do you love travelling and need to hire a cab in a city you are visiting for the very first time? If these are the cases you probably must be wondering how to get a cab or a car on rent across the major cities in India…And that too with trusted drivers. Make my trip is a trusted online travel company from India. They aim in providing the travelers a new age technologies to make their journey easier. The company has a share crossing over 50% of online sales. Most of them use its service for airplane, train and hotel bookings but its car rental service is as impressive as the rest of its services. The site provides an excellent user interface and the ability to retrieve the search results in an impressive time. Ola cabs are spread in Mumbai, Delhi and Bangalore. For their website you can estimate it to have a very good hold in the market in the future. They have released an Android app for Ola cabs too known as “one touch book a cab” service. They have three core values listed on their site convenience, quality and control and always live up to the expectations of their customers. They have been bagging a lot of positive feedbacks from the press too. Expedia is considered as one of the leading online travel companies across the globe. India is fast adopting this service too. The name itself guarantees quality cars and better services at all times. Expedia may offer less service in terms of car rental limiting to pickups and drop-ins to the airport in some cities it is considered as one of the best go-to company in the field of travel related online bookings. Since, it is originated in the west, when you pay online through Expedia’s payment portal, your card rates get converted to euros before charging. The site also offers toll-free assistance for any queries before booking a cab. Travel Chacha is an effective service with attractive discounts. They give away state-of- art cars and coaches for rent. They let customers book their cars 24X7 with trouble free and time saving processes. You can calculate the price immediately with the extensive car search preferences and location choices. It also helps you navigate through an easy online payment system. Ezeego1 is another biggest online travel bazaar in India with a huge fan following Facebook page. They update their Facebook page with fascinating posts about travel on a regular basis. The page reflects the kind of service they provide. They have a wide selection of car rentals you can choose from like local city use or city to city transfers or from airport to hotel or station. They have been offering their cab booking service in large number of cities and towns across India. They also have a 24 x 7 online chat support to figure out and find answers to your queries. Savaari.com provides its service to both local and long distance cab users. They keep their operating costs low using technical advancement and hence they are able to provide low prices which gives a tough competition to the local ‘around the corner’ car rental providers. They provide you only the best and experienced skilled drivers along with well-maintained cars. Your online information and privacy is kept confidential by the site. Your search results are returned along with the picture of the driver against the designated cars as a part of the trust building factor. Clear Car Rental is a website with excellent functionality and usability, designed and dedicated for car rental services across India. This online car booking portal has been offering services to more than 140 cities within the nation. They have the best cars and reliable drivers. Free cancellation of bookings is also available if made two days prior to the booked time. This web site also offers the most affordable price in the market. Their online page offers a detailed description of each of its offered services. Carz on Rent came to the market in 2000 and is known as one of best online transportation service providers in India today. 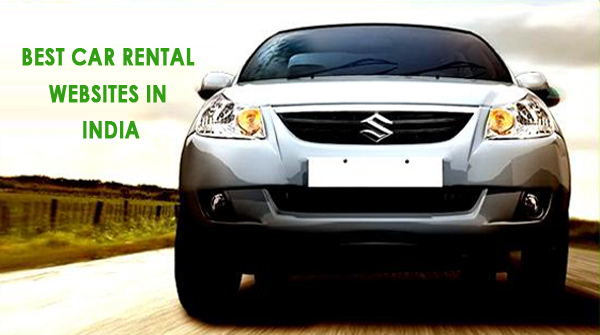 They are known for offering a wide range of cars for rent for various needs, be it short-term or long-term. They have a fleet of 6500 cars across the country and 24 x 7 customer support centers. If you are interested in only renting the cars but not a driver, try its Self Drive option. This service is available in Bangalore and Delhi. Get Me Cab offers convenient and hassle free cab booking across India. Interestingly, they charge no booking fee and neutralizing all other operators thereby helping you select the best operator in the business. The company was incepted and run by IIT and IIM graduates with vast experience in travel e-commerce domain. They currently have their services in major cities in India and are planning to expand to other cities and towns in India as well. The website is known for high quality and affordable cab services. They also have a mobile website allowing you to book cabs when on wheels. Bookcab.In is a simple online cab booking service with fast loading pages, consistent layout and extensive options for renting cars. The site also provides a great service to the corporate and luxury car rental section. It has been offering cash on delivery option for customers who prefer hard currency. It also offers safe and secure online payment gateway for the rest. It discounted prices on many out of station cab services and holiday packages too. Travel with the Best – one of the easiest ways to rent a car online. Click here for more information on top car tyre companies in India.